The Kinabatangan River is magic in the morning. 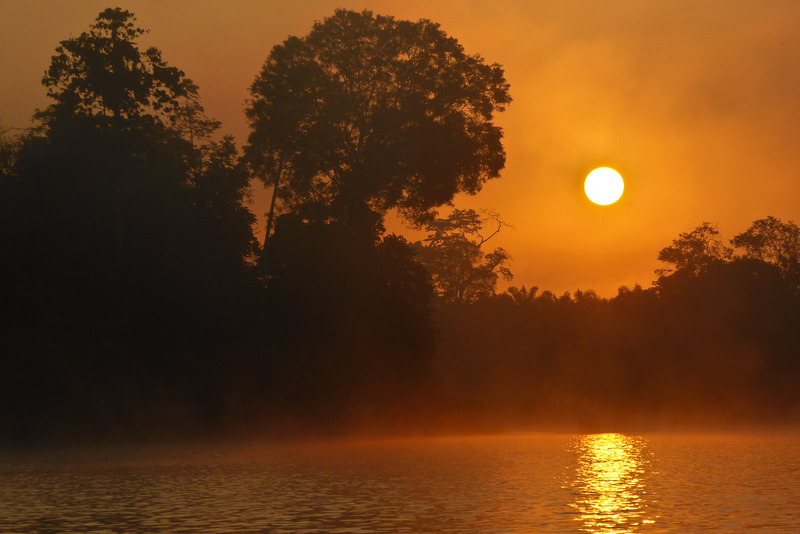 The mist is thick over the water, the sun rises above the trees, the birds start their song and the energy of a new day beginning rings throughout the rainforest. 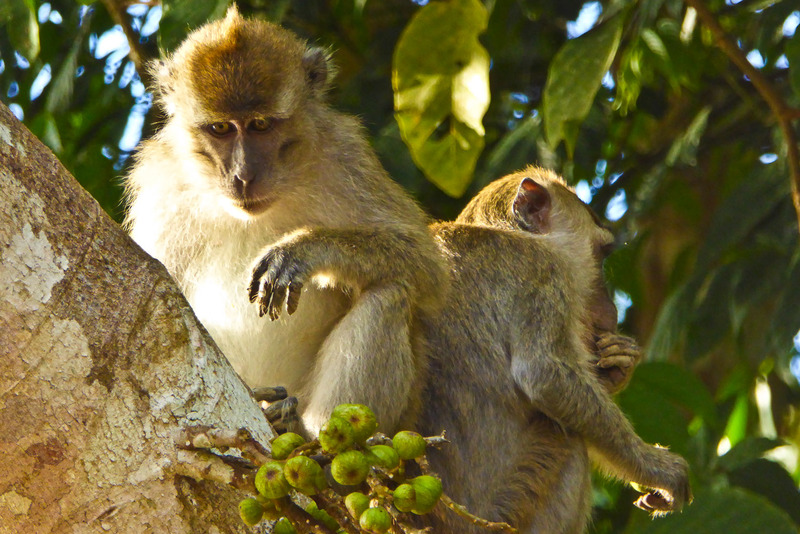 On the Kinabatangan River, families of macaques congregate low down near the water to eat the figs that grow there. When you witness each family’s politics, in-fighting and love, it’s incredible how much humans still display the same behaviours. 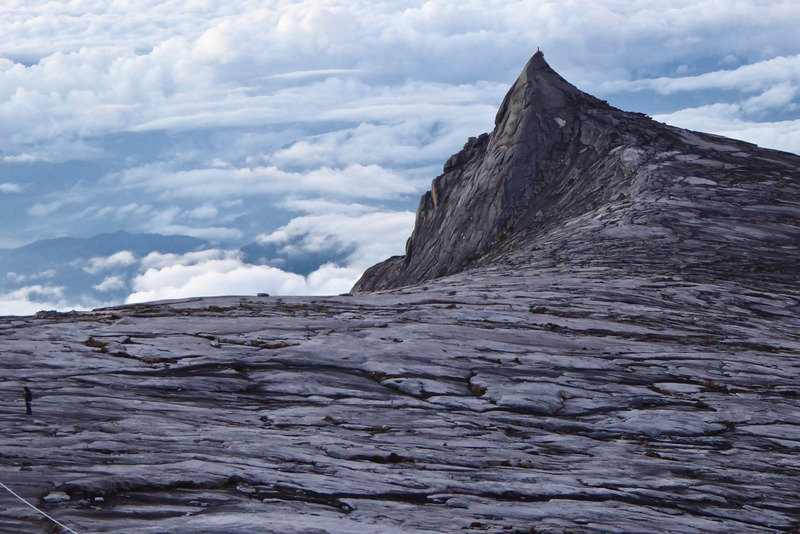 It is not just the thin air that makes you breathless atop Mount Kinabalu. The peak used to be a volcano and its lava has hardened over the eons to create this spectacular natural wonder. It used to feature on the old one Malaysian Ringgit note. 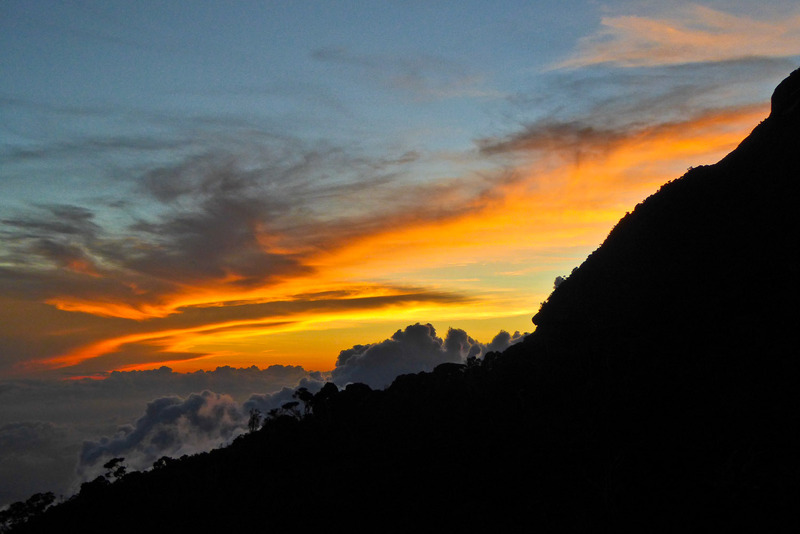 The Mt Kinabalu experience is an eight-kilometre trek over two days, climbing from 1800 metres to 4095 metres above sea level. But watching sunset from the guesthouse (near the summit), as the trees silhouette in front of the orange sky makes the climb all worth it. Sepilok is an orang-utan orphanage that was established in the 1960s in response to the palm oil mass production and habitat destruction. Many come to this oasis as babies then are slowly but surely readied for a life back in the wild. The park comprises 48 square kilometres of jungle, so some even choose to stay and breed, like this mother with her child. Tampat Do Aman is a jungle lodge run by an Englishman and his local Rungan wife at the tip of Borneo. 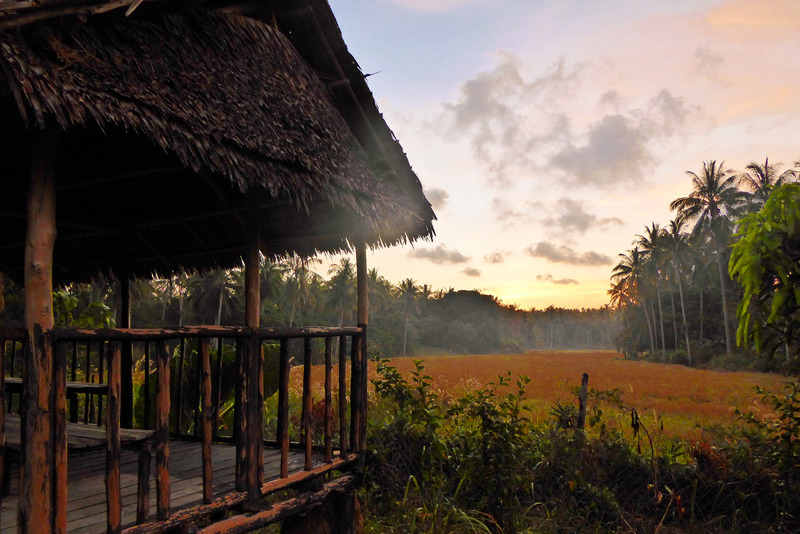 Set back from the beach, overlooking jungle and rice paddies, sunrise is spectacular at Tampat Do Aman, as the sun creeps over coconut palms that line the paddy and the rice glows red. 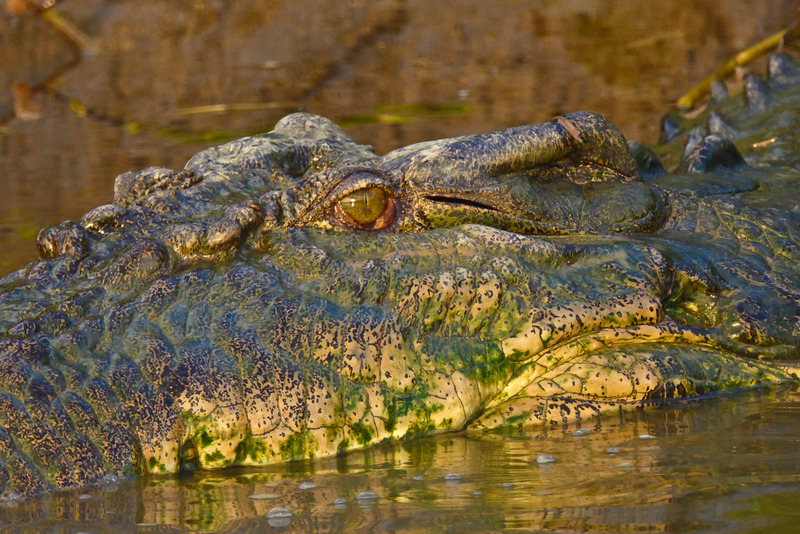 This large saltwater crocodile was spotted sunning himself in an inlet by the Kinabatangan River. They often spend two hours at a time statue-still in the murky water, preying on all creatures that step too close. 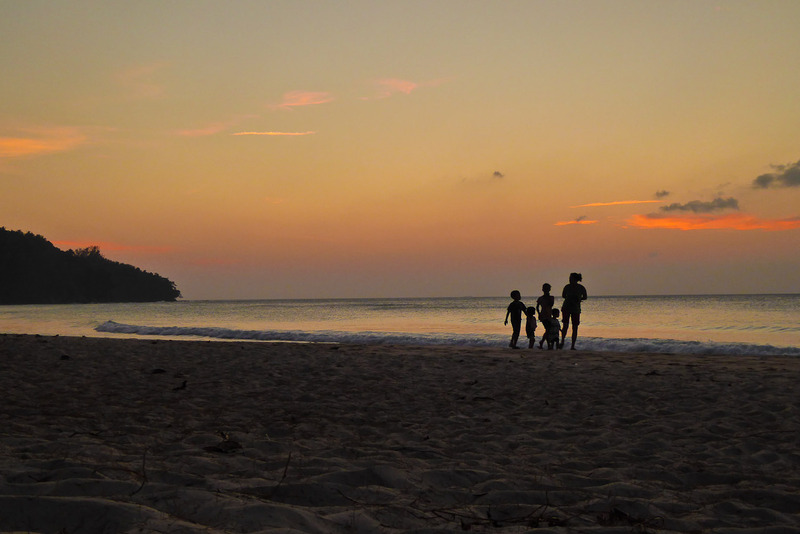 At the very north of Borneo, the ‘Tip of Borneo’, lies a small fishing village of the indigenous Rungan people. It is one of the poorest areas in Malaysia and not well known among tourists but therein lies the charm of the pristine rainforest running into the ocean. Locals are happy to talk to travellers, and if you’re lucky they will tell you about the strength of their warriors that kept the attacking Filipino Islanders away. 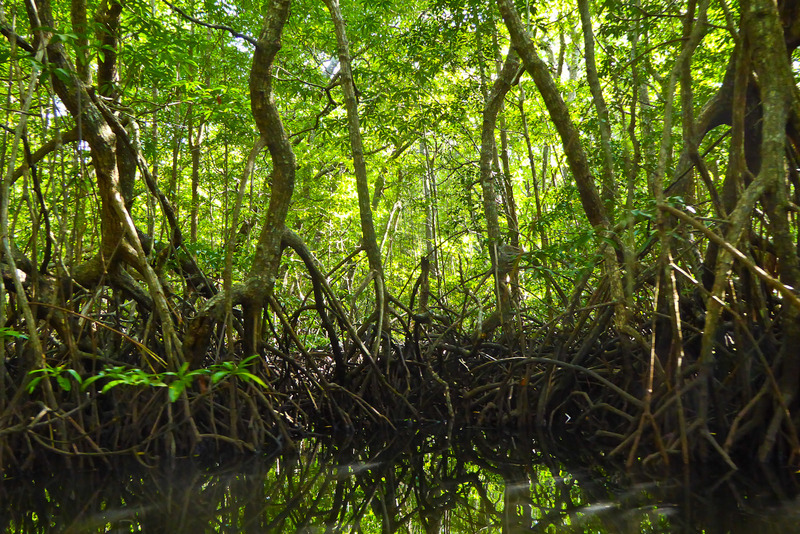 Thick mangroves at the tip of Borneo, which is great for spotting native birds and monkeys. Jarad Hicks takes a photographic journey into the Sabah jungles to find a stunning world alive with unique wildlife and breathtaking scenery, hanging in the balance amid palm oil plantations. Sabah, the Malaysian state in the north of Borneo, has some of the most unique wilds that Mother Nature has to offer. However heartbreakingly, as I flew from the busy streets of Kota Kinabalu to the Kinabatangan wildlife sanctuary, Sabah’s controversial palm oil plantations appeared even more destructive than I imagined, creeping their checkerboard blight over what natural forest remains. Exploring the region thereafter really crystallised for me just how crucial it is that we invest in preserving this precious part of our world. All the natural beauty that can be found amongst its foliage; the proboscis monkey, the macaque, the saltwater crocodiles, are integral to the health and function of Sabah. 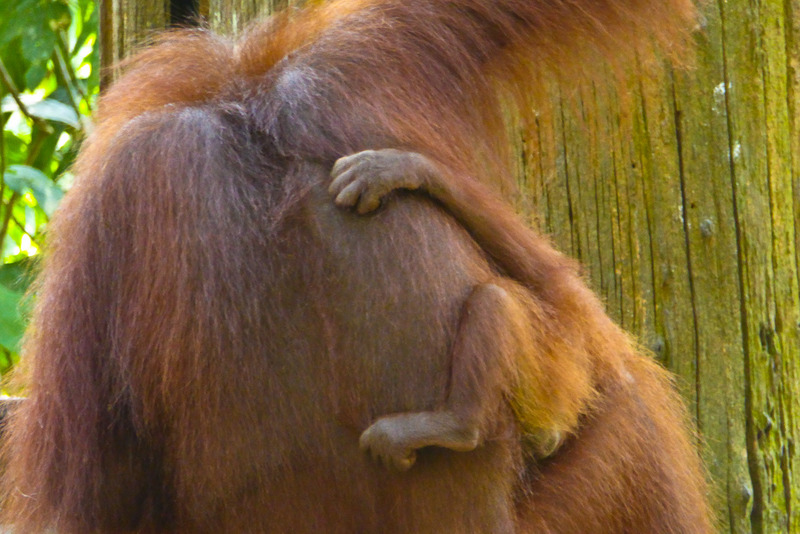 The reality is, the country is currently being ravaged by western-led palm oil companies. Meanwhile villagers in northern Sabah are against the foreign investment and the eradication of rainforest for palm oil, but are afraid to speak out with Malaysian law able to convict them for dissent if they even sign a petition. It’s a devastating situation, one that requires drastic action. If anything, this collection of photographs aims to highlight just what is at stake.